Xinxiang Great Wall has rich experience in the production of large kiln and mill equipment, and its rotary kiln has the characteristics of advanced technology and reliable quality. At present, Xinxiang Great Wall has produced more than 100 sets of rotary kilns in various specifications and sold well all over the country, and exported to Vietnam, Uzbekistan, Pakistan and many other countries and regions, with high market popularity and good reputation. Classification of rotary kiln: Cement rotary kiln, lime rotary kiln, kaolin rotary kiln, magnesium rotary kiln, etc. 1. 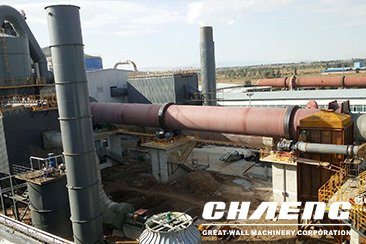 Rotary kiln has many advantages, such as great production capacity, high mechanization and automation, strong adaptability to raw material, high activity of its product, stable production operation, perfect environmental protection measures, etc. Therefore, it is widely used in many countries. 2. The rotary kiln has simple structure, and the kiln body is mainly composed of cylinder, bearing, drive, sealing device for kiln head and kiln tail. It has convenient and reliable production process control, less quick-wear parts and high operation rate. 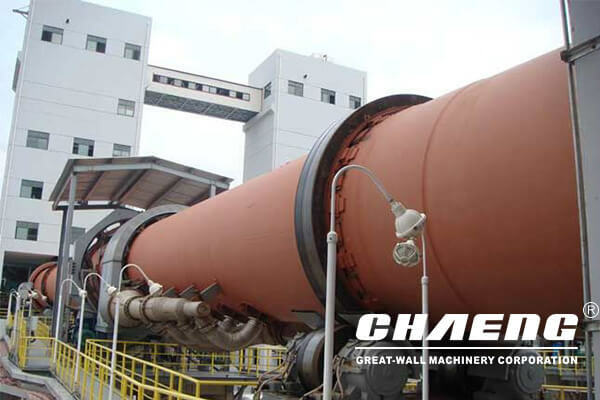 It is equipment for cement plants to calcine cement clinker. 3. 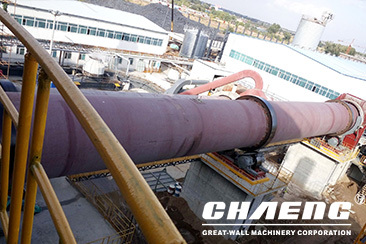 Through technology innovation, the calcination system of rotary kiln adopts the most advanced hydraulic gear wheel device at home and abroad, and adopts metering plunger pump with high measuring accuracy, high-precision flow speed control valve, contact graphite block sealing device and other domestic advanced technologies. It is easy to operate and its performance is reliable. The thermal regulation being stabilized and the operation rate being improved, compared with equipment with the same specifications, the operation rate increases by 10%, yield by 5%-10%, heat rate reduces by 15%. 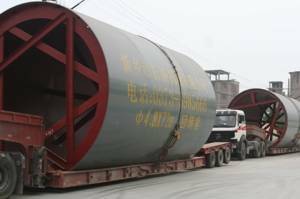 The rotary kiln is a cylindrical vessel, inclined slightly to the horizontal. The material is fed into the upper end of the cylinder. As the kiln rotates, the materials gradually move towards the lower end, and they may go a certain amount of stirring and mixing. Hot gases go through the rotary kiln, in the same direction as the process material, but usually in the opposite direction. The hot gases may be generated in an external furnace, or may be generated by a flame inside the kiln. They are repetitively scattered in the air so that they are in full contact with the hot air, the material is dried gradually. 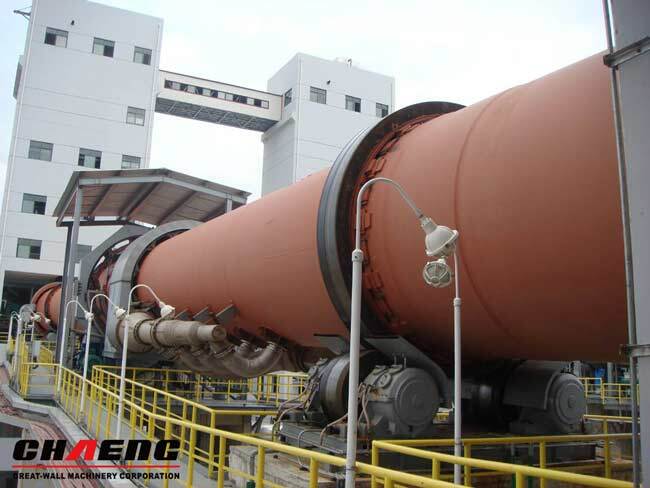 5000 t/d Cement Production Line of Deng Electric Group Cement Co., Ltd.